Create a beautiful birch tree design, spring floral, or anything you want! 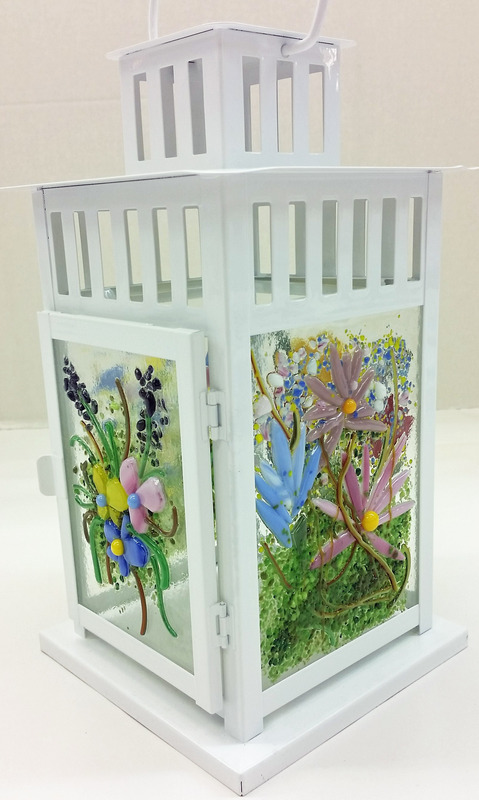 in this four sided lantern. We will provide painted white strips of glass that resemble birch bark for those who chose the birch tree design. 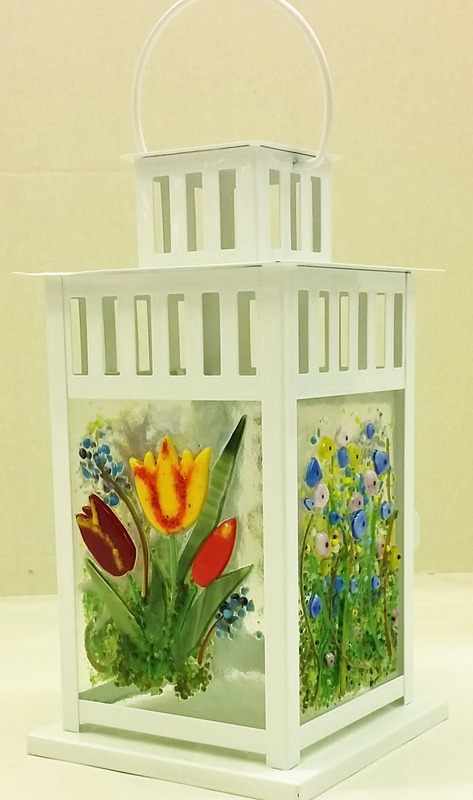 Another design that would look good in this lantern is a floral design. We will provide all the glass, frit, stringers, vitrograph and the metal lantern. No experience necessary!Fusing included. for more additional pictures. This class is a special offering during our "Customer Appreciation Day"
Each student that takes this class will be given a $10 gift card to spend at The Vinery!